APP’s ProTek Slide Plates are bearing surfaces engineered to reduce the friction and wear of various structural components at expansion and contraction joints. They can be used in multiple applications such as in the support of heavy piping, equipment, bridges, and other structural members. The ProTek Slide Plates can be constructed from various materials and in different sizes to best meet your needs. APP’s ProTek Slide Plates are constructed from sodium-etched PTFE (3/32” thick) bonded to 10 gauge carbon steel. Different thicknesses and materials are available upon request. The backing plate is welded to the structural steel member. 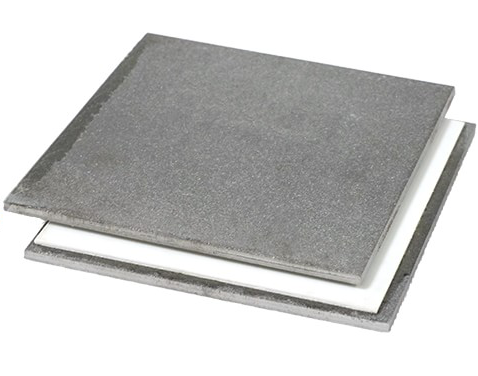 The sliding surface provides a low coefficient of friction to prevent wear due to expansion and contraction. The slide surface is bonded to the backing plate using a high strength structural epoxy. Custom Manufacturing Both backing plates and slide surfaces are available in different thicknesses and materials.